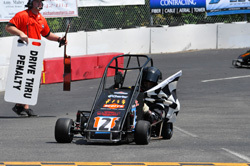 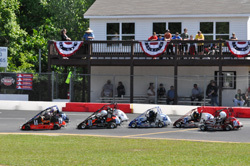 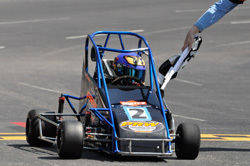 (May 19, 2014)- It’s one for the record books; 218 cars makes history for the Nashville Club in USAC National events. 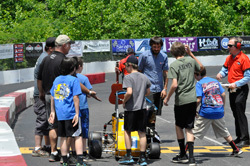 Round 4 of the “Gen Next” Series was held at the Music City Club May 16,17,18, 2014. 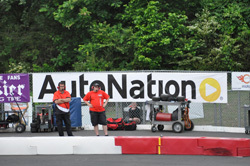 Awesome place, event ran smoothly, friendly people, great fried corn on the cob, loved the track, nice weather and super competition, were all words echoed thru the pits all weekend. 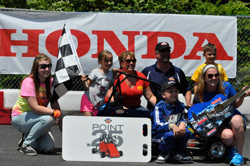 Some were families following the National Tour and others were first time participants. 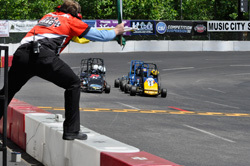 No matter which category these drivers belonged too, the reactions were the same. 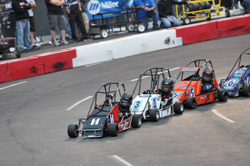 Berkelee Jimenez of Texas (Briggs Hvy World Formula & Hvy ‘AA), Carson Hocevar of Michigan (Honda Hvy 160 & Briggs Sr Animal) and Jack Wehmeyer of PA (Honda Lt 160 & Lt ‘AA) all doubled up this weekend. 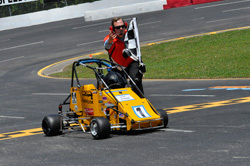 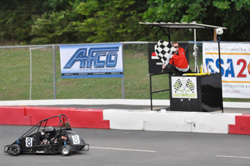 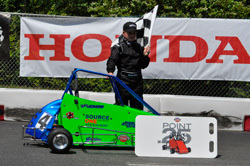 Harrison Halder of Georgia was a 1st time USAC National winner in Hvy Honda. 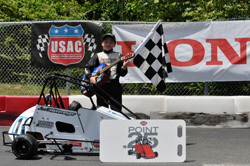 Aaron Bollinger of PA won Briggs Lt World Formula, Chase Burda of Michigan took Lt Mod, and Brady Johnson of NC won Jr Honda. 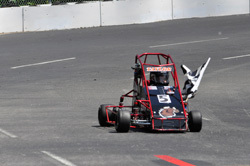 Tanner Reif who hails from Nevada took the win in Briggs Jr Animal, Grayson Pate the only local winner in competitive classes took his win in Sr Honda after coming from the D Main. 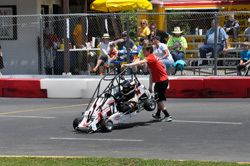 Red Rookie top finishers were Robert Taylor, III and Dylan Jones, both of Tennessee. 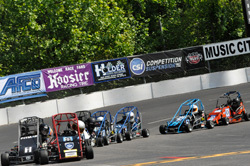 The USAC Staff welcomed two new Interns, Alex and Tyler, of IUPUI, this weekend. 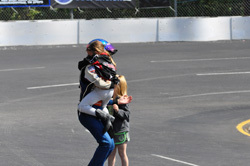 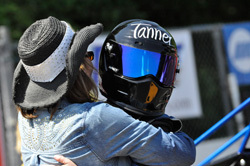 “Our model allows families to enjoy the National Weekends being part of their own pit crew. 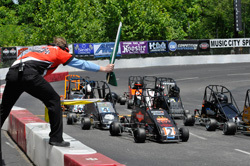 We bring a staff that handles all race-day operations and we look forward to adding these young people as we work with the youth of USAC,” said Kyle McCain, Director. 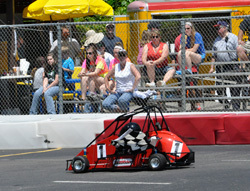 “We were super pleased with our event this year,” said Shawn Parker, Track Manager. 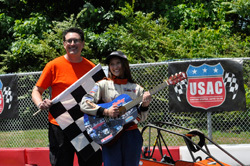 “Our families were excited to have all the other drivers come to Music City. 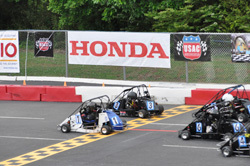 Our parking went well, the weather was cooler and the racing was fun. 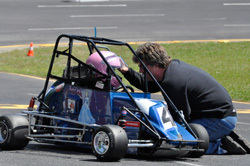 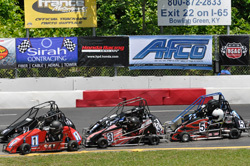 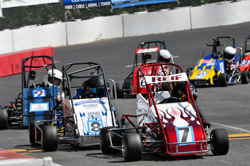 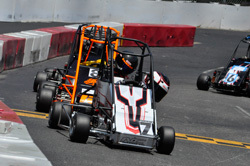 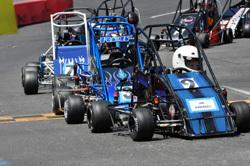 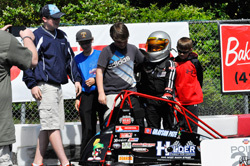 USAC Officials made the determination to offer a second practice Friday night and then another Saturday morning. 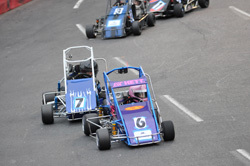 Race-line up included 33 heats, 21 semi events and 14 A Mains for the weekend. 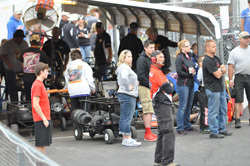 Two hours separated the awards ceremony for USAC Technical and Tire Procedures. 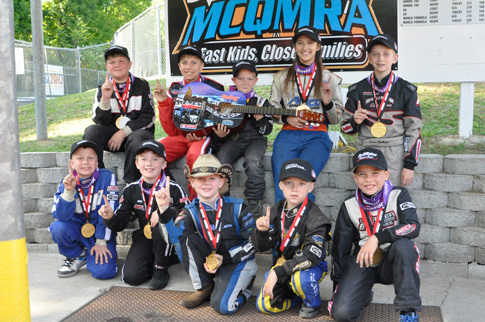 Gold, Silver and Bronze medallions were awarded podium finishers along with the most sought after 1st place prize on the circuit – Music City wrapped guitars for the winners, sponsored this year by Holley. 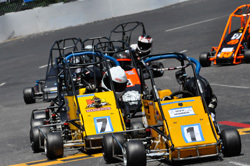 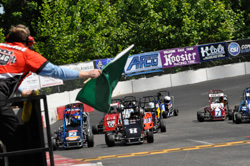 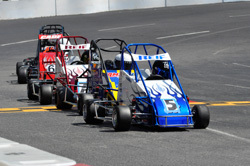 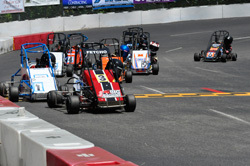 The competitive USAC National Tour continues to Phoenixville, PA June 6-8 for Round 5 and Round 6 comes up June 19-21 at Bobby Labonte’s track in North Carolina.